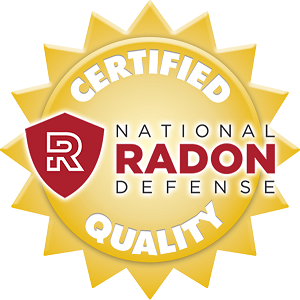 Clean Air Act is your locally owned and operated radon company, licensed and certified to do business in Oregon. 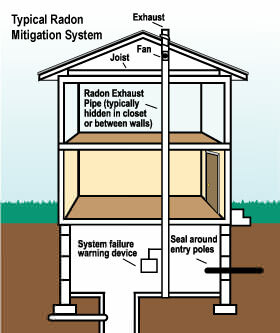 We are members of the Nation Radon Defense Network and our specialists are trained in accurate testing techniques and the proper installation of reliable radon mitigation systems to protect you and your family. 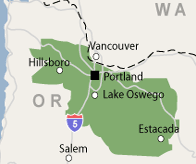 We provide professional radon testing & mitigation services in Portland, Beaverton, Hillsboro, Gresham, Oregon City, Lake Oswego, Woodburn, West Linn, Tualatin, Clackamas areas and nearby. When breathed in radon can lead to lung cancer making it a serious threat. We first test if the radon levels in your home are dangerous. Our radon specialists will visit your home and setup a continuous radon monitor test (CRM) explaining in detail how the test works. After 48 hours we return to your home to check the test, sitting down with you to go over the results You should make sure that you test your home for radon every two years. If the results are display dangerous levels of radon we recommend immediately installing a radon mitigation (abatement) system. We will drill a hole in the slab of your basement or crawl space and then make sure all cracks in the area are completely sealed. This directs the radon through the drilled hole into a pvc pipe which vents the gas safely out of your home. Please call us so we can answer any questions you have. Beyond radon there are number of other substances that reduce your home's air quality. These include microbial growths, allergens, and toxic compounds. Clean Air Act, Inc. will perform an air quality test in your home to test for these issues and if found recommend installing a high grade air filter rand air filtration system to make sure that air you and your family breathe is clean and safe. Professional radon testing & mitigation services in Portland, Beaverton, Hillsboro, Gresham, Oregon City, Lake Oswego, Woodburn, West Linn, Tualatin, Clackamas areas and nearby.